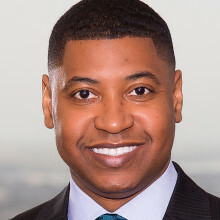 Brandon Davis is a Partner at Phelps Dunbar and practices in the areas of labor and employment and business, employment-based and family-based immigration. His employment litigation practice includes representing employers in the defense of employment related claims, alleging retaliation, discrimination and workplace harassment under federal and state statutes. Mr. Davis also handles EEOC charges and other administrative complaints through the administrative and judicial process. He has also represented clients on a variety of human resource and risk management issues, and has assisted employers with implementing effective strategies and labor solutions.